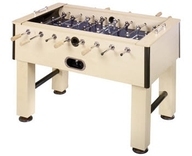 The Contempo foosball table will add a furniture designed table to your game or recreational room. This is a classy looking table made of Maple wood and 3/4 inch sidewalls on the cabinet. 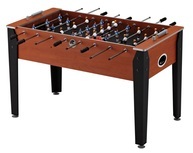 The Contempo has the highest performance out of any Fat Cat foosball table. 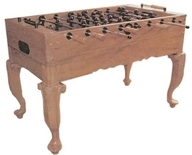 Other high-end foosball tables made by the Fat Cat brand are designed to have an antique furniture look. 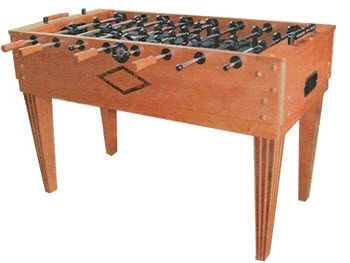 This foosball table is priced at around $700 US.